Ben O - Well there are a number of ways to detect these things. What I'm working on is trying to see them directly. I want to see what these things look like and when you're trying to actually see a planet around a nearby star, you have this terrible problem that the star is many millions to billions of times brighter than the planet. And so, the planet will be lost in the glare of the star. So, what do you do? Well, you can study these things indirectly which is largely how people have done this to date. You look at the star and you look for tiny modifications to the star's light or the star's position that tell you that a planet is there, and there's quite a bit you can do with that. It's exciting work. First of all, you can discover that there are planets around these stars. You can start to discern a few things about their atmospheres, but you're limited. You really need to separate the light of the star from that of the planet, and then we can get into really doing the astrophysics of these objects. Ben - So, you need to find some way to block out from that star? Ben O - Absolutely, yes. 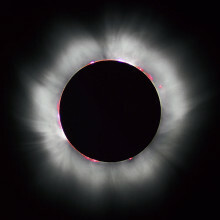 So the real trick and largely what I'm working on these days is a technique called coronagraphy which is essentially creating an artificial eclipse of this distant star. It's much like when you're up on stage or say, late at night, a car is approaching you, you'll hold up your hand so you can see a bit better. We do this in a slightly more precise way in our instruments with distant stars to try to see very faint objects next to them. So right now, I've got a project which partially involves the University of Cambridge working with Ian Parry here and we built an instrument that does exactly this, and we use it regularly at the Palomar Observatory in California. Ben - Could you not just do exactly what you just said and put something in the way between you and the star, perhaps a large disc, and just hold it up between your telescope and the star itself? Ben O - Absolutely. In fact, one of the techniques is exactly that. You place a large - what we call - star share out at a tremendous distance away from the telescope. This is tens of thousands to hundreds of thousands of kilometres. The problem there is that you have to position these things very carefully. There are some plans to do space missions like this. For example, you could take even the Hubble Space telescope and put one of these shades in a separate space craft. That's a large technical problem and of course, you now have to coordinate two different spaceships and all this sort of thing. So we tried a little bit easier way in the sense that we have very small optics, tiny 1-inch size pieces of glass that we use inside the telescope in a camera that's attached to the telescope. Ben - So rather than interrupting the light before it gets to your telescope, you're tweaking what the telescope actually receives in order to cancel out the light from the star. Ben O - Exactly. We're essentially manipulating the starlight at a very, very precise level. This glare that you see around a star is highly amplified by any defects in the optics of your telescope, and in the camera that you're using to image things. So, we have to control those defects very, very carefully. A little bump on one of these mirrors at a level of a few nanometres is enough to disrupt the light so much that you just won't see anything, even like Jupiter which is a rather large planet around a distant star. So we have to be very, very careful with these things. The benefit of a star shade as you mentioned before is that the light doesn't even get into the telescope in the first place, so you're starting out at a much better situation. Ben - So it sounds like a very big technical compromise in order to block out the light that you don't want. How much light do you actually get from the planet? I'd imagine it must be miniscule. Ben O - Well, you'd think these things are ridiculously faint, but actually, they're not. Around bright stars, say you're looking for a reflected light off of a planet - although Jupiter would be about 10 to the 8 to 10 to the 9 times fainter than the star itself, that's not that faint in terms of the sorts of things that astronomers typically look at. If you talk to a cosmologist, they're looking at things that are so ridiculously faint that might be less than a photon for a couple of minutes. You're looking at things that are just ridiculously faint in comparison to the planets. 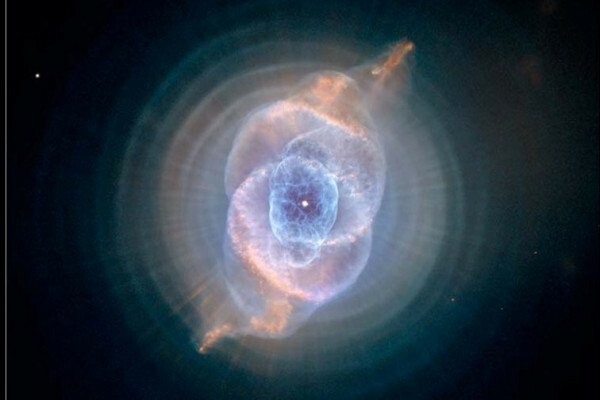 It's not the intrinsic faintness of the planets that makes them hard to study. It's that damn star light! Ben - What sort of planets can you see around this? You mentioned things to the scale of Jupiter and as you said, these are very big planets. Could you see anything Earth-sized? Ben O - Obviously, everybody wants to know, are there places like earth out there and if there are, is life prevalent on them. For a number of years, I worked to define the science goals and how they feed into some of the technical aspects of a mission called the terrestrial planet finder. The purpose of that is to make a coronagraphic telescope in space that would be able to actually see a planet like Earth around say, the closest hundred or so stars. There, the problem is that these Earth-like planets, if they're really like Earth, they're going to be 10 to the 12 times fainter than the star. Now, you're really looking and talking about a needle on the haystack problem. So for every 10 to the 12 photons coming from the star, only one is coming from that planet. So it's a tricky business. What we can do now are warm, very young planets, sort of like the size of Jupiter. These things are still hot. They're so young that they haven't quite cooled down to what you might call steady state temperature. And because they're hot, they're much brighter. Ben - Can you use the same techniques to block out infrared light as well as looking in the visible? Ben O - Yes. In fact, this project that I have going on at Palomar is operating solely in the infrared. One of the benefits of that is that you can image other types of things. For example, many young stars have debris discs around them. This is dust that is presumably in some cases, beginning to form planets and one of our discoveries a couple of years ago was around the star called AB Aurigae. This wonderful structure in the disc around it that seemed to indicate that something was forming there so you see a little hole in the disc and some clumps, and it looks like maybe there's something that we haven't quite seen yet, just starting to accrete material and form, who knows - maybe something like Saturn or Jupiter. We'll have to wait quite a long time to see what that is. Ben - So, if you can get a relatively broad spectrum view of these planets that you couldn't see because of the glare of the Sun, can we start to infer some things about the atmosphere based on the reflected light? Ben O - Absolutely. In fact, that's where the real science is. The science here is taking the light and dissecting it, making the spectrum, so measuring the brightness as a function of colour. And when you do that, you can actually detect the presence of molecules like water, methane, carbon dioxide, carbon monoxide, even ozone would be detectable. This is exactly what we want to do. This is how you really get to the physics of it and this is why we need the direct detection of these things. There are some objects that show spectra very similar to planets in the night sky and those are brown dwarfs. These things have things like methane, water in the form of steam and carbon dioxide, and one can actually study these and determine all kinds of things about the atmospheres. You can determine wind speeds, upwellings, disequilibria between various chemical species, and in fact, that's probably how life will be detected outside of our solar system - by looking for a disequilibrium in a couple of chemical species say, methane, water, oxygen. We know that our own atmosphere on Earth would be very, very different if all life just disappeared. This would be a very unpleasant place to live actually. Ben - I'm assuming that brown dwarfs, which in themselves are fascinating things, not quite big enough to be a star, a little too big to be really considered a gas giant. They're not somewhere we should be looking for life. Ben O - Probably, not. Although there could be moons around these things, you know, that are possibly habitable. I mean, one of the crazy things is that, outside of Earth, in our own solar system, some of the moons of for example Jupiter like Europa may in fact be a great place for life to live. There's tons of water there. There may be an ocean under its very icy surface and who knows? Maybe there's a fish there. You know, I have this dream that there was a probe designed to go there and melt a hole. In the dream is that they turn on the camera and there's a fish looking back. It would be a wonderful discovery! Ben - A wonderful discovery perhaps but definitely a bit of a shock both for us and for the poor fish. That was Ben Oppenheimer from the American Museum of Natural History, explaining how small and precisely designed optics can cancel out the light from a star, making it far easier to see the planets that orbit it. Ben - Now should we ever want to go fishing on Europa, we'll first need to get over a lot of technological, physiological and psychological challenges. To find out how a long mission isolated from Earth would affect astronauts, Mars 500 invited a number of volunteers to simulate the experience from a specially designed facility in Russia. Peter Graef from the German Space Agency explains why. Peter - Well first of all, we tried to find out what is really necessary, what do we really need to know to be in the position to send people on long missions, probably to Mars. And the question is, how should you arrange the medical scenarios, how should you arrange the psychological support for these missions that you can really make sure that the people will come back safe? Ben - This has been preceded by some smaller programs. So what have we seen so far? Peter - In the last year, we did a 3-month mission to test the simulator, to test the procedures that have been developed for the crew to come over the 3 months. We did also some experiments which were quite promising from the data point of view. This year, we started only on June 3rd. 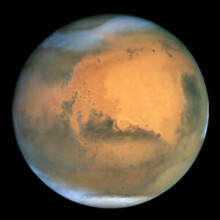 This is a 520-day missions and the crew has visited Mars already. They did some activities on a surface, a simulated surface of Mars, and now they are on the way back home. It's interesting to see what's coming now because they have to change their motivation now because before they reached Mars, they were all enthusiastic to reach the goal of the mission, to reach Mars. But now, they have go back. They will be really looking forward to meeting their families and friends, and whatever and see the sunlight again. But it's a long time to go, they will arrive on Earth probably November 5th. We'll see how they do their job now. Ben - What are conditions like for them? What environment are they actually kept in? Peter - The simulator is based in Moscow at the Institute of Biomedical Problems in the Russian Academy of Sciences. It's a combination of several containers. It has 180 square metres which is 550 cubic metres volume for this 6 people. They have living quarters where they do cooking. They have training areas where they do physical training. They have a medical facility where they do all the medical experiments and interventions, and they have also private areas, 3 square metres per person with a small bed, cupboard and desks, so it's not much privacy. Ben - Who are these people? Are they highly trained individuals? Do we know that these are the sorts of people we might send on space missions anyway or are we just doing this in a more general way to try and understand how any human would respond to this? Peter - Actually, the volunteers were selected from a group of 5,000 people in the end. We have currently in this mission, three Russian crew members, one Chinese crew member, and two members which were sent by the European Space Agency who's contributing as well to the mission. These guys are from France and Italy. They were selected by psychological testing before the mission and also, medical tests were done extensively with the crew to find crew members that would fit best to such a mission and they did also some training before the mission to actually build up a team with them. It turns out that the selection was quite nice because these six people did remarkably well in conducting all the tasks they have and as a team, they are functioning very, very properly. They are doing a good job in conducting roughly 100 experiments. Ben - I would imagine that programs like this are essentially to actually inform how we go about finding the right people to actually do a mission like this. So, the psychological profile now is based on what we think is right but we've never before sent people into this situation and may have to re-assess what it is that we look for in somebody before we actually send them to Mars. Peter - This is right. We need to learn how to select the people in the mission, not only to select out who's not fitting, and this is actually the challenge the psychologists that are involved are taking that they really try to find out how to select in people for these kind of teams. Certainly, we have to confess that at present, it's really risky to start these missions and I doubt that we would be in a position today to send people to Mars. Ben - So what have we learned about people in this situation so far? Peter - This mission is on one hand a simulation of flight to Mars, but we can also use this experimental setup as a real experiment because we have the unique situation that you have six people that are under very controlled environment for a long period of time. So for a lot of scientists, this is an interesting experimental setup because they can precisely go after certain questions. We have one investigator who was interested for instance in the connection between salt intake in the daily diet and the blood pressure. He was actually able to show that the blood pressure goes down if you reduce the salt in your daily diet, even in healthy volunteers. And that was really not described in this precise way before. Ben - So in another 200 days or so, your six volunteers will come out. What will we need to do then? How do we need to learn from them? What do we need to study about the changes that have taken place? Peter - I'm personally convinced that we will see similar missions several times before we really go to Mars, and there's also plenty of time to go to Mars because our earliest opportunity is 2033 and then 18 years further down the road, so we have time to think about it and prepare. But certainly, we will do a very serious analysis of the data that are collected, and we also will try to do it in an interdisciplinary way so that we really cover all aspects from the psychology via the physiological effects, and also the narrative effects. We'll get a lot of stories from the people when they really finally come out and tell the real truth about their feelings and about their experiences they had. There's a lot of things to learn. 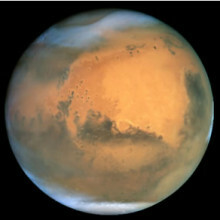 Ben - Peter Graef from the German Space Agency on how Mars 500 hopes to answer some of the outstanding questions standing in the way of us visiting our astronomical neighbours. Ben - We've reported on the discoveries of exoplanets before on the Naked Scientists, but what would our solar system look like to an extra solar observer? Dr. Chris Stark from the Carnegie Institute in Washington has been trying to find out. Chris - Well, if we go back to sort of the beginning of the story, you know, many people think of space as a vacuum. In fact, in our solar system, it's not quite a vacuum. There happens to be a lot of dust in our solar system and especially near the Earth, we've detected this dust. We can actually image this dust through its light that it reflects from the Sun or if we look in the infrared, it's actually very bright. And the dust near Earth, we call the Zodiacal cloud and in fact, you can see it with your naked eye at night. And we think that this dust that occurs near Earth is actually created in the asteroid belts and due to comets that are whizzing past the Sun. But we know that there's another reservoir of bodies in our solar system out near the outer regions near the orbit of Pluto, and that reservoir, we call the kuiper belt disc. The logical conclusion is essentially that we would think that the kuiper belt objects would also be colliding and producing lots of small dust grains. And although we haven't directly imaged the dust from the kuiper belt, there have been a couple of missions that have flown into the outer regions of the solar system with a dust counter on board. And so, we have a rough idea that dust exists out there and how much dust there is. And in fact, we believe that there's so much dust that if you were to image our solar system from afar, that dust would be one of the most easily imaged features of our solar system especially if you're to look at the infrared. So the problem is, we know there's a lot of dust produced in the kuiper belt, but we really have no idea what it looks like. And so, if we want to of explore what our solar system might look like to an extra solar observer, we have to rely on theory then to infer what the dust from the kuiper belt would look like. That's where I come in. Recently, Mark Kuchner and I have produced some new models that predict what this dust distribution might look like. These theoretical models that are produced have to include certain dynamical effects. The dust grains are perturbed. Their orbits are changed by the gravitational influence of planets and if there's enough dust, actually, two dust grains can collide with one another. And so, if you want to produce a model of the kuiper belt dust disc, that includes both gravitational interactions with planets and collisions between dust grains, then you have to do what we call an n-body integration. The problem that people thought was very daunting was that there are so many dust particles in our kuiper belts, on the order of 10 to the 20th or up to 10 to the 30th dust grains that people thought there was just simply no way to do this with current computational capabilities. And so, to produce a model that includes both collisions between dust grains and the gravitational dynamics that's necessary, it's very, very challenging. Fortunately, Mark Kuchner and I came up with a tool that essentially allows us to accomplish this task and we call that tool essentially a collisional grooming algorithm. Basically, what we do is we produce a model of a dust disc that ignores collisions and we sort of include all of the gravitational dynamics of the problem. And then what we do is we go through and we "groom" that dust model that did not include collisions until it looks like what it should have looked like, had collisions been included in the first place. Ben - So, what's the distribution of dust in our solar system actually like? Is it fairly homogenous or do we get bands? Do we get clumps? What would we expect to see if we were actually an extra solar species looking down onto our solar system? Chris - Right. So probably the most notable feature that you would see if you were looking at our solar system from afar is what we call a resonant ring structure that Neptune ends up creating within the kuiper belt dust cloud. Basically, Neptune selectively places dust grains into specific orbits which we call mean motion resonant orbits and what this does is it creates this large circumsolar ring structure that goes all the way around the Sun, and it has a radius approximately equal to the distance from the Sun to Neptune. And it also creates a gap within that ring. And so, if you were an extra solar observer looking at our solar system, one of the first things you would notice is that resonant ring, and the gap in the resonant ring would tell you where Neptune was and possibly even the mass of Neptune, even if Neptune was too dim to directly detect itself. Ben - Now this is just a modelling stage but you can use your results to inform what observations people should be making. What do you need to see out there in reality now in order to make your model a bit better? Chris - It would be nice to confirm the existence of specifically Neptune's ring structure that we predict. To see the dust out near the orbit of Neptune, you have to look through all of the dust in the inner solar system before you can see that. And so, something that we've suggested that may work is, instead of just trying to detect an image of the dust, look for essentially an alternating or a baring image. In other words, look for the asymmetries that we predict and looking for those clumps as they move. Ben - One of the advantages with modelling is that you can roll it forwards in time and you can roll it back in time and make predictions based on your model. Do we think the solar system has essentially always looked like this? Chris - In fact, no. We think it has changed quite a bit. In the past, the kuiper belt was much more massive and essentially, we think that it has been collisionally eroded over time. So in the past, this means that since it's more massive, there was more dust, and this means that collisions between dust grains happened more frequently. And so, what we're able to do is essentially tune our model and look at what the dust distribution may have looked like billions of years ago. And what we found was actually very surprising. It turns out that one of the first thing that happens when you go back in time to a more massive disc is that Neptune's resonant ring structure disappears. If you're an extra solar observer looking at our solar system when it was very young, you would not see this circumsolar ring with a gap near the location of Neptune. Instead what you would see is you'd see a very circularly symmetric ring that is basically just tracing the location and the distribution of the kuiper belt objects that are colliding to produce the dust. Basically, Neptune's gravitational imprint disappears. Ben - And so, what's the next stage for you? What's the next step in your research? Chris - Astronomers have already detected ring structures around other stars, but all of these ring structures that have been detected so far are around very young stars. This means that we're not necessarily seeing the gravitational imprint or the resonant ring structure that I described earlier. Instead, what you're seeing is essentially the dust is tracing the distribution of parent bodies. So one of the things we're interested in is trying to model observed ring structures around other stars and seeing what we can learn about the distribution of parent bodies in those systems. Ben - Chris Stark, explaining how Neptune casts a distinctive ring out of the cloud of dust that pervades our solar system. 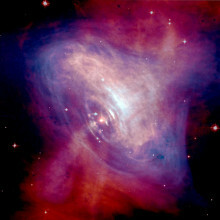 Ben - Pulsars are the remnants of stars which rapidly rotate and produce distinctive pulses of radio emissions. Researchers are looking for these telltale repeating patterns in huge swathes of data and sometimes, they encounter something unexpected. I spoke to Evan Keane from the Max Planck Institute in Bonn, in Germany. Evan - Well, I've been involved in surveys to search for pulsars in order to answer a number of questions. One just quite important is how many pulsars there are in the galaxy? For astronomers, it used to be stars. It's quite important for us to know how many there are and pulsars are very extreme stars. Ben - What are you looking for? What are the signatures? Evan - We use very big telescopes like the Lovell telescope at Jodrell Bank. We collect large volumes of data by regular human standards. For instance, surveys I've searched which would be considered small, would be several terabytes of data you have to search for, and now, we're talking about petabytes so that's a million gigabytes. I mean, we're looking for needles in a very large haystack basically. And a lot of work goes into a very clever analysis of this data, trying to think up new tricks. Ben - So how many pulsars do we know of? Evan - Currently known, there's about 2,000 pulsars give or take. There should be a lot more than that. Usually, they're described as being clock-like. So, we're looking for a signal which repeats quite regularly and there are quite a lot of data analysis techniques we can use to tune into these, anything that's periodic like that, we can find that. There's a lot of research using these guys as very accurate clocks and "super clocks in space" are ideal tools we can use for a lot of experiments, and that's one thing I'm interested in. One thing I've been working on recently is those pulsars that are not so reliable, so we get a pulse and then they're quiet - they're off for say, 100 pulses. So they are mostly off, but sometimes when they're on, they're quite bright. I look through a pulsar survey, looking for these kind of objects because they don't come up in the standard analyses and there's lots and lots of pulsar data that hasn't been searched for these kind of signals. In this search, I found one signal of particular interest. This was a single burst that lasted just 7 milliseconds, so not very long, and its inferred distance was quite far. In fact, it's outside the galaxy which is the interesting thing about this. How do I know that when I hear one pulse? Well, when something, a pulsar or some source emits some light and it comes towards us, it travels at the speed of light, but it actually is subject to delay. So the light hits against stuff. Stuff between us and the source and the will slow it down. And as it turns out, a high frequency emission arrives before the low frequency emission and if you measured this delay, you can work out how far it's come. And if you work it out for this particular source I found, you'll find that the delay is much longer than the maximum delay that could've happened from it coming through the entire galaxy. So, the rest of the delay has to come from something beyond our galaxy. There are many theoretical papers of sources that should do this. Annihilating black holes should give a burst like this. There's a beautiful paper from Martin Reese from 1977 where he predicts what an annihilating black hole will look like and it looks just like this! Ben - And what physically do you think that signal is coming from? Is it an annihilating black hole or is it a pulsar that's only sent very strong pulse so far? Evan - This depends crucially on how far away it is. We want to absolutely nail down the distance of the source. If we were to get up close to this source, we would realise it was really, really bright. In fact, much too bright to be a pulsar. So if it's far away as I'm telling you, it's not a pulsar. So what I've been trying to do is break the standard models of how far this is away. We think we understand how much stuff there is in our galaxy and I've just been thinking, "Well, suppose we're wrong - we're totally wrong." And let's say it's a pulsar at the edge of our galaxy, this would mean it's a pulsar like the Crab pulsar which occasionally gives very loud, very strong bursts. Now if this source were a pulsar, we would see many pulses from this. 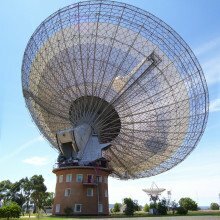 This is why I was in Australia last week to use a telescope there at the Parkes Radio Telescope and I observed this guy for 10 hours, looking for some pulses. I haven't seen any which is good. Either result would've been good because seeing some pulses will tell us a model which we thought we understood to be correct is wrong and that there's a weird pulsar at the edge of the galaxy, that's one scenario which is interesting. Second scenario is one model that we thought was correct is correct which is always nice, and that we've detected this extra galactic burst of quite a significant interest. Ben - So what's your next step? What are you going to do to try and follow up that event? Evan - Well, there's nothing I can do. This signal happened 10 years ago. Pulsar people, they collect so much data that they can't analyse it because they want to plan ahead. That means that there's lag between when this actually happened and when it was noticed in the data. In some senses it's inconclusive because I can only present there was this very strong burst, it seems to come from far away for all of these reasons. I can suggest that there's a high probability that it is something like this. But for the future, these events should be much more common. If we can monitor the whole sky, we should be seeing this every day. But hopefully now, in the current or in the next generation of telescopes, we can be more real-time. As much as it's possible, we want to detect - people do it with all the other wavelengths in x-ray and gamma ray telescopes. They send alerts to everyone on earth saying, "Something just went bang. Everybody look there" and we want to do that. Ben - Evan Keane from the Max Planck Institute explaining why quick action is needed to study very brief radio signals and possibly to identify colliding black holes. Ben - Climatologists and geologists have developed a number of ways to estimate the temperature on Earth going back a very long way on Earth's history but astronomers would like to know the historic temperature of the entire universe, going back 13 billion years. George Becker, a fellow at the Kavli Institute for Cosmology uses the light from quasars to read off the climatological history of the universe. George - The broad question is really broad and it's how did galaxies form in the early universe and then how did these other things sort of materialise out of the wash of gas and dark matter that we live in. What fills up most of the universe is this very, very thin network of dark matter and gas that we call the intergalactic medium. If you were able to see it, it would look like a cobweb or like a sponge. And what we believe happens is that over time, the small variations that were present right after the Big Bang gave rise, over time, by the way they collapsed through gravity, to this network of material and within that network, galaxies. So, this is a system that comprises all of the matter of the universe and out of which galaxies form. And it's dynamic, it changes with time. One of the things that happens is that it goes from being electronically neutral to being ionised. Neutral means that it's similar to the gas that's in the air in this room. The gas is made up of atoms and those atoms have electrons and the electrons are attached. But as you go out into space that changes and especially as you go out into the regions between galaxies, where if you find an atom, chances are very good, it won't have its electron attached. It would've been knocked off a long time ago by some energetic photon. And that's the way the universe is today. It's spread out in this network of material that is very, very highly ionised. And the question I'm addressing is, how did it become that way? How did the ionisation happen? Ben - I guess that because we know that in order to become ionised, they'd have to interact with photons at some point, we can sort of use the ions themselves to get an idea of the history of the universe. George - Yes, that's exactly right. If you knew how this ionisation process happened then you would know when it was for example that galaxies had gotten far enough along, enough had formed to produce enough photons to do the job. Similarly, quasars are also important in this mix because it turns out that all this gas that's out there is primarily one of two elements. It's either hydrogen and hydrogen is far and away the more abundant part of this gas, and then there's also helium. We believe that galaxies are responsible for ionising the hydrogen, but it takes quasars to ionise the helium and the reason for that is that helium atoms have two protons and they're just a little bit better at holding on to their electrons, and you need higher energy photons with enough oomph to knock those electrons off. So we believe that it was quasars that ionised helium and that's actually the stage of this ionisation process that I was looking at. Ben - I assume we can't directly observe these fairly rare ions themselves and instead we have to use light coming from distant sources. In your case you're looking at quasars but how can you actually do that? What observations do you need to make? George - That's right. The quasars are playing two roles here. Number one, they're providing the photons that we think is important for the physics and number two, they're serving as background sources of light. So what we do is we look at these quasars and the light from the quasars has travelled through the intergalactic medium - all this gas - and the gas has absorbed part of the light from those objects. In fact, every time the light goes through a cloud of gas, it loses a few photons. And so, by the time it reaches us, it reads like ticker tape or like a bar code in the information about where the gas is, and what it's made of is all encoded in the quasar light itself. Ben - That must be quite a difficult task. For example, how do you tell the difference between a cloud of gas that's a very long way away but very large or one that's quite close to you but quite small? George - The inverse does us a great favour here by expanding. When the photons were emitted, that was a long time ago, and the universe was much, much more crowded in the sense that any two points we're just a lot closer together than they are today. So you have to imagine, the quasar gives off some photons and those photons begin to travel towards us, and along the way, the universe expands and expands. The photons also expand. Only when the photon is a very special length or a very special frequency that they can be absorbed that they will come to a cloud of gas, and get absorbed by it. The expansion of the universe stretches out the quasar light and allows us to read off by the wavelength that we've observed from the ground where it was or rather by how much the universe had stretched out by the time the photon had been absorbed. It all sounds a little bit convoluted but the end result is that we get the light from the quasar and there are series of absorption features that we can read off, and the redder an absorption feature is, the further back it was absorbed. Ben - So using this technique, reading the quasar barcode as it were, what have you been able to learn about the universe? George - Yeah. There is an interesting climatological history to the universe and you can start way back at the Big Bang where it had been extremely hot. We're talking millions of degrees but shortly after the Big Bang, things actually do get quite cold. The universe will get down to just a few tens or maybe few hundreds of Kelvin. Then when the first galaxies light up, we don't know because we haven't been able to measure temperatures that far back, but what we believe is that when galaxies light up and the re-ionisation of hydrogen happens, that you'll get somewhere up to the range of say, 20,000 Kelvin. It might be considerably higher or a bit lower. Then the universe will start to cool down again until this helium re-ionisation that we were looking at occurs. And there, the theoretical expectation was that you'd get a boost again of say, another 10,000 Kelvin. So you might have cooled down the 10,000 Kelvin - which sounds hot, it's hotter than the surface of the Sun - and up to say, 20,000 Kelvin, and after that the universe starts to cool down again because it doesn't have this source of heating any longer, and then sort of strange things happen in the very recent past where these sheets of gas that are collapsing start to shock and heat in very interesting ways, but that's a different process. Ben - So just looking at this ionised gas, you can really infer quite a lot about galaxy formation, about galaxy progression, and not just about the history of the gas itself. George - We're right at the beginning of being able to make those kinds of inferences. 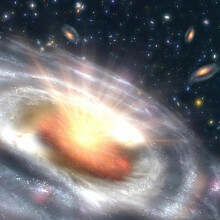 This process with helium really involves the quasars - the quasars live in galaxies and we know that the formation of quasars which are black holes that are swallowing up the insides of galaxies and giving off tremendous amounts of radiation, those black holes are intimately connected with the development of the galaxies. They reside in it somehow. So putting together how quasars form, how black holes form, how galaxies interact with their surroundings, what we call the intergalactic medium, it's all part of getting the complete picture right. Ben - George Becker from the Kavli Institute for Cosmology here in Cambridge, explaining how understanding re-ionisation can help to fill the gaps in the history of the universe. Mark - The problem I'm trying to solve is all about astronomical outreach. Now science has always had a problem throughout the length of time I've watched TV and listened to radio, and looked at magazines. Getting science out into the masses is a very difficult thing to do and so, I'm trying to see how we can actually do that and get more science out into the public. Ben - It seems that your timing might be a little bit off because from what I can tell, science has probably never had a better public face on television. We've got people like Bryan Cox, Dara O'Briain, a very popular comedian who's also promoting science, and this is primetime stuff, so how does your problem actually been solved for you? Mark - I think the answer is there but what I'm trying to do is actually get that answer out to academics because I think yes, you're absolutely right. Astronomy is getting a fantastic coverage in media and that's national media as well, not just local media. It's getting fantastic coverage at the moment. We've had Wonders of the solar system, wonders of the universe, Star Gazing Live of course, so it had some brilliant TV shows, but it's really trying to educate people on how you can engage with the public better and trying to get them more switched on to receiving that message. Ben - Is communicating their science really a role for the scientists? They obviously have their funding to do their work which is about astronomy in this case or whatever science it may happen to be. Surely by encouraging them to spend more time communicating, you're actually going to reduce the amount of time they can spend doing research. Mark - It is a very fine balance and I think the method of communicating science - yes, absolutely, there are people out there who could just be presenters and could just present the information, but I think for an audience to receive that information, you need to have somebody with a bit of klout, with a bit of education. Not necessarily education behind it, but with some standing in the subject they're talking about. So I think you can't use Dara as an example because he's got that theoretical physics degree. But if you were to use a bog standard TV presenter to do a science show, I think it would lose something. I don't think the people would receive it as well because they're not getting that message from an experienced person. I think that's the key there. Ben - Patrick Moore of course, being another example of somebody who is not in academic, but having been an amateur astronomer for a very long time is well respected amongst academics as well as the public, and therefore makes a very good presenter. Mark - He does and it is incredibly difficult because there's this big gulf between the way a scientist deals with a topic and the way a topic is dealt with for the masses, for the public, and there's this big gap, this gulf between them. It's knowing how you can get and transform that message. So the key in all of this is transform the scientific message - that's the secret bit - to transform the scientific message into something that the public will be receptive to, and I think that's the key and you're absolutely right. Patrick Moore, an experienced amateur has done an incredibly good job for the science. Ben - So what do scientists need to do? How do you think they should start going about bridging this gap? Mark - I think one of the key things is around not being too worried about 'cheating on science' to sort of coin a phrase. I think there's a lot of worry around dumbing down a scientific message too much and almost changing it so it's slightly different, but you got to remember that sometimes a scientific message isn't something you can change in its raw state to something that a member of the public would understand. So you've got to change, you've got to accept that that message has to be changed and morphed little bit, have slightly different values, slightly different information in there, but still true to the core subject. But it has to be changed and that's the trick and it think that if you can get that and there's also a little bit about sensationism because you know, good old newspaper journalists, editors, TV directors, they want something that will sell newspapers and get people tuning in to the TV and talking to them about a dull scientific subject, however interesting it might be to you, is not going to sell a paper or get people tuning in. You've got to sensationalise it to get the media people interested and once you've done that, then you can massage the message to get it out so people can understand it. Ben - Is there a stigma among the academic community against people who do slightly sensationalise their science or perhaps who are quite happy to put something out in terms of certainty which of course never really exists in science? Mark - There is danger. I'm not an academic, I've come from an amateur astronomy background so I'm not an academic, I must stress that. I think there is an element of that from some people absolutely. There is you know, I suppose a concern that a subject is being dumbed down, it's being changed, it's not what science is about, and that is absolutely true. Of course, that's what's happening, but the two can co-exist and I think that's so important because otherwise, the general public won't get any understanding of science if you don't change it, and I think that's the key thing. The ultimate is about getting the public to understand science and after all, if the public want more science then there'll be probably a little bit more funding from the government if they realise science is important so actually it means you can do more science. So there is a very important flow of - a scientist does some research, get that information out to the public, the public want more science, and so, you know, you can do more science because there's more support for it, and that is what it's all about. Ben - Mark Thompson, President of Norwich Astronomical Society.